"Four Stars ... an intriguing shift for Sheppard as both a player and a bandleader." "Four Stars ... an intimate statement whose chemistry belies the quartet's brief existence. There's a bold honesty in the music's refined contours and graceful adventure that invites and rewards the patient listener. There's the feeling too, that this quartet has plenty more to offer." 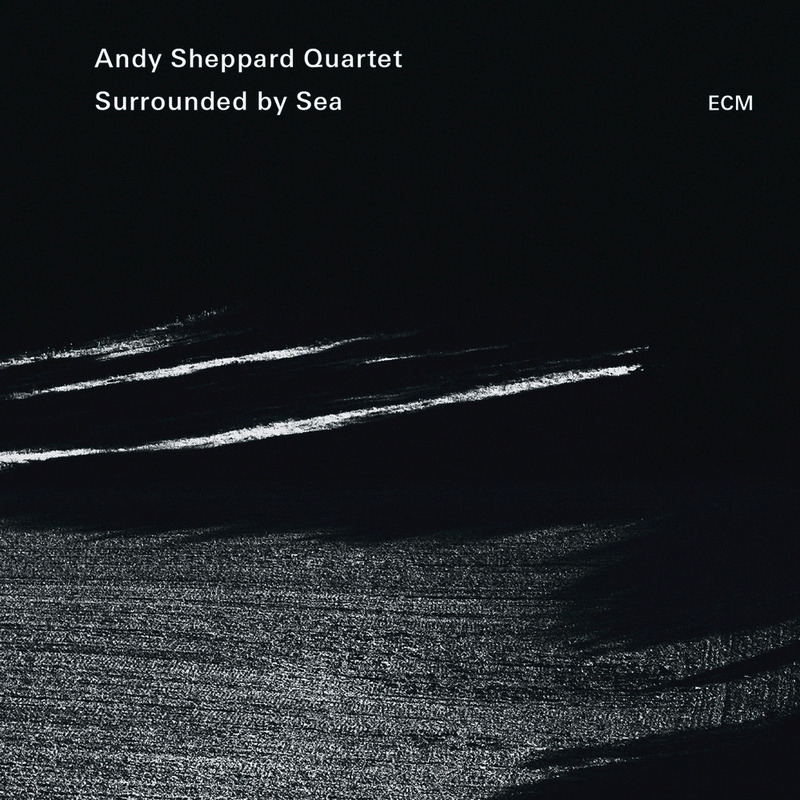 Surrounded by Sea from saxophonist Andy Sheppard is a strongly atmospheric recording whose title seems especially apt. As Sheppard observes, the sea is mostly calm, but storms and squalls can arise in a moment. He says he is fine-tuned to such sudden fluctuations and was brought up with the physical awareness of being surrounded by sea. Throughout this album, Sheppard plays some of his most lyrical saxophone, both on his own pieces and on the tunes contributed by bassist Michel Benita and drummer Seb Rochford from Sheppard's ensemble Trio Libero. The rapport between bassist and drummer is especially evident throughout Surrounded by Sea and with the addition of Norwegian guitarist Eivind Aarset to the trio, the quartet can take on a completely different identity. "I see the quartet as the next step on from Trio Libero. Libero started out as an improvising trio. A lot of the material was drawn from our improvisation and turned into tunes. With this album I wanted to retain the same musicality but move things in a new direction with the addition of harmony and subtle grooves."